Aside from the never-ending speculation over what app-of-the-moment Color means to social networking and privacy, the most astounding thing about the startup is how much money it has raised. Before it even launched, Color received $41 million in investments, $25 million of which came from Sequoia Capital – more than it has ever invested with a pre-launch startup, including Google. But numbers like this are becoming less of a rarity for social media companies. Facebook, Groupon, and Twitter have all been subject to IPO rumors, which in turn has led analysts to start throwing around some stunning valuations. But in the wake of gasping over these awesome numbers, there’s reason for pause: Are social networking sites worth it? Are we so caught up in it that we might be overestimating these companies’ value? Warren Buffet thinks so. The billionaire and veteran investor told Bloomberg that “most of them will be overpriced. It is extremely difficult to value social networking site companies.” Sure, Buffet is known for his lack of interest when it comes to social media investments, but the man makes you think: Are we placing too much value on a possible bubble? Twitter and Digg investor Mike Maples agrees with Buffet. 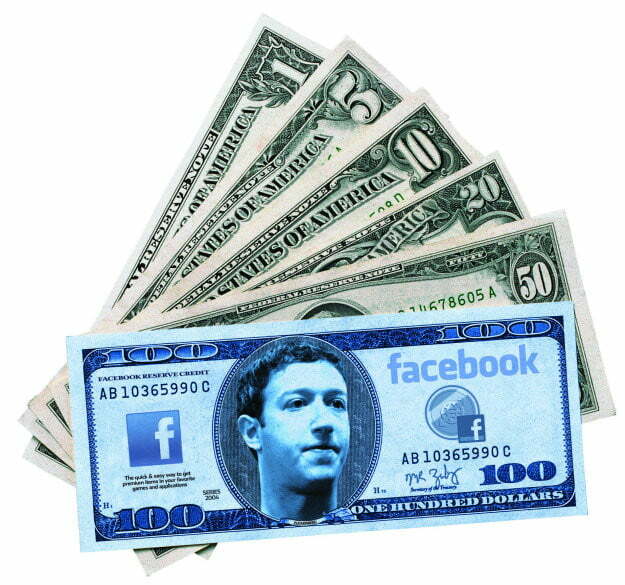 He recently told Reuters that big social sites like Facebook have led to the creation of smaller, more niche “copycats,” which are being overvalued and contributing to the tech bubble. 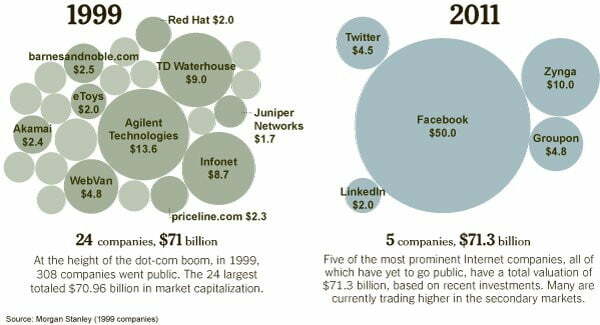 “Is there a tech bubble? Rounded off to the nearest yes, yes. In a given year there are maybe 10 or 15 companies that are truly valuable, and then everyone crowds around the soccer ball – those companies end up having their valuations get away from them.” Analysts also note that the next wave of social media companies may coast on their predecessors’ success and reel investments in based on that alone, in reality failing to live up to their hype. A handful of social companies have overwhelmingly been accepted as “truly valuable” – Facebook, Twitter, and Groupon being among them. Here’s a look at how much each is estimated to be worth, and the “copycats” that are likely pushing their predecessors’ value higher while likely being overvalued themselves. The social networking site recently completed a groundbreaking round of fundraising, bumping its valuation to an estimated $50+ billion. Of course, Goldman Sachs’ fumbling of share sales grabbed the attention of the SEC and brought about IPO whispers. Nonetheless, it put Facebook in an enviable position. It’s nearly impossible to distinguish an actual challenge to Facebook. We know: Color is more a combination of Foursquare and Instagram, so let us explain that we choose it only because it’s being heralded as a game-changer of the social arena, which is exactly what Facebook was. But the fact that its combining so many different elements is what might be its downfall. Foursquare and Instagram (largely) do one thing and do it well, whereas Color might be biting off more than it can chew. Its $41 million investment pushed its valuation somewhere around $100 million, which is being called out as wishful thinking already. We haven’t heard much about Groupon’s valuation since its $950 million fundraising round back in January, which pushed its worth to approximately $7 billion. The company has insisted its valuation isn’t that high, but analysts have stuck to their guns. Groupon has been under fire recently for some of the growing pains that accompany such tremendous growth, but it still remains on top of the daily deals game. That’s right, everyone. Everyone is Groupon’s copycat. Of course, its most formidable opponent is LivingSocial, which is rumored to have Groupon within its sights – but it’s hardly the only one grabbing onto the group buying trend. AOL, Yahoo, Google, Facebook, Bing, and The New York Times have all launched competitor services. It’s too early to tell how they will fare, but Google and Facebook are likely to experience at least mild success. This in turn will up Groupon’s value and contribute to the local deals bubble, which is becoming an exceedingly crowded and chaotic market. In the wake of acquisition rumors last month, Twitter’s valuation approximations pinned it around $4.5 billion. It’s only a five-year-old company, and one that is seeking new profit plans (read: advertising) and sounds like it still has some growing to do, despite being plagued by IPO rumors. Tumblr has been something of a surprise. The site has become a go-to for bloggers but has also managed to make itself something of a Twitter competitor with its snippet-length posts, reblog feature — not to mention that it’s been identified by many as a microblogging platform. Its pageviews have climbed significantly in the last few months, and in November surprised everyone with a considerable fundraising round that bumped it to a shocking $135 million valuation. But there’s still no real profit scheme to be heard of, and lately Tumblr’s only been in the news for its outages.